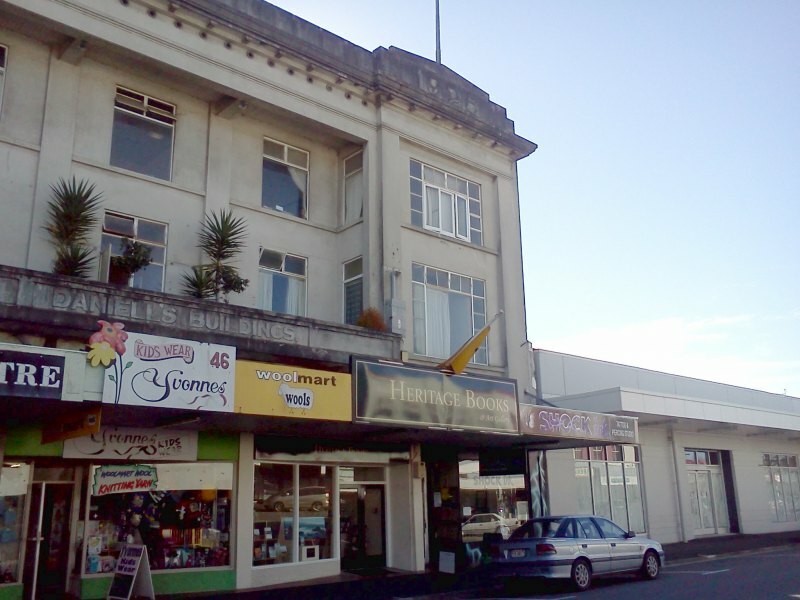 Here in Masterton there is a building curiously named "Daniell's Building". It turns out it is owned by our major, Garry Daniell, and there is a bit of controversy surrounding his reluctance to get any of his buildings earthquake proofed: "I haven't commissioned the detailed structural analysis and I'm not required to yet", "I'm not necessarily going to do anything other than comply." Hmm. One glance at his brick and masonry building and it screams "earthquake risk", not to mention it has people living in it. Certainly a shining example of leadership! 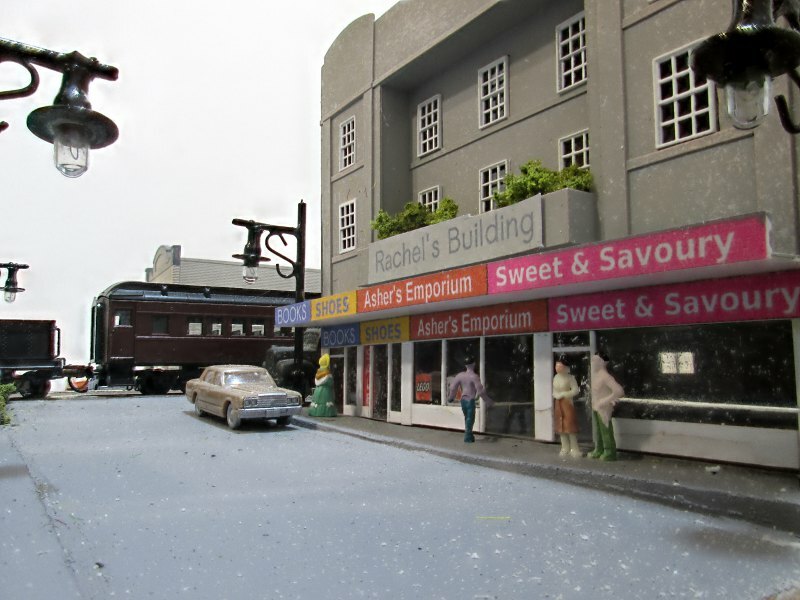 The building itself however is interesting, with DANIELL'S BUILDINGS embossed into the concrete, an interesting mix of architecture, a sloping roof and even a balcony complete with greenery. The mayor of Raparapa obviously deserves a "Rachel's building" so I set about creating one. 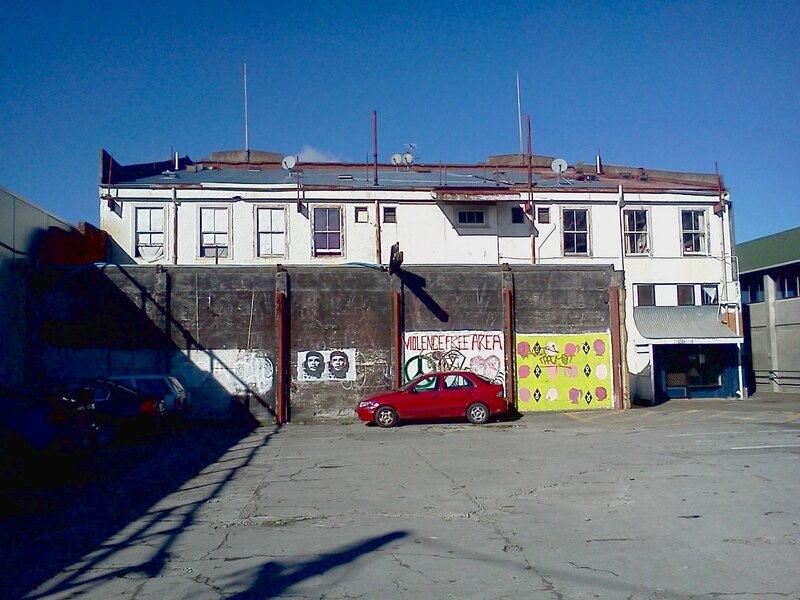 Using Google Maps Street View I roughed out the dimensions and followed it up with a site visit a few days later. It's a very cluttered building and doesn't look like it'd be a very nice place to live, but nevermind. Rachel's Building will be far nicer inside. 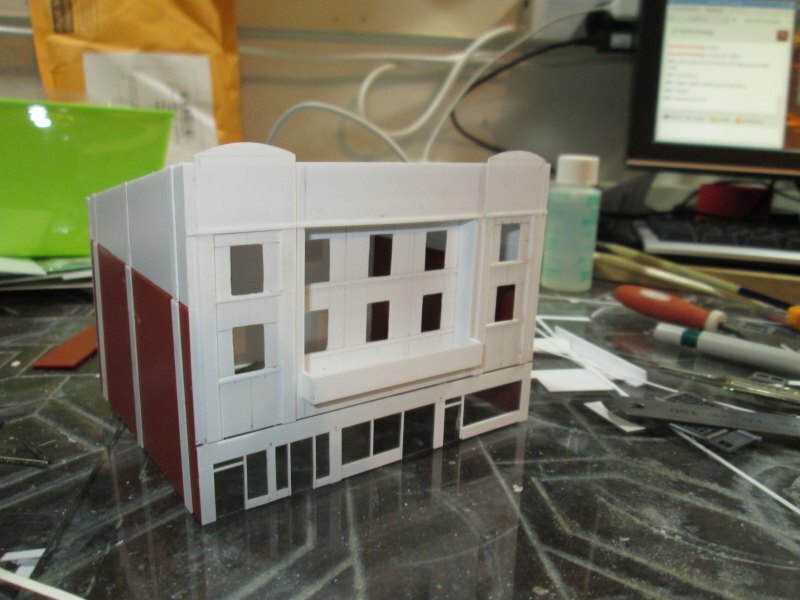 I made the walls out of 0.5mm styrene, using my craft punch to make the many many window holes. Some plastic brick sheets were chopped down to size for the side walls. I added a recessed front and some reinforcing inside. 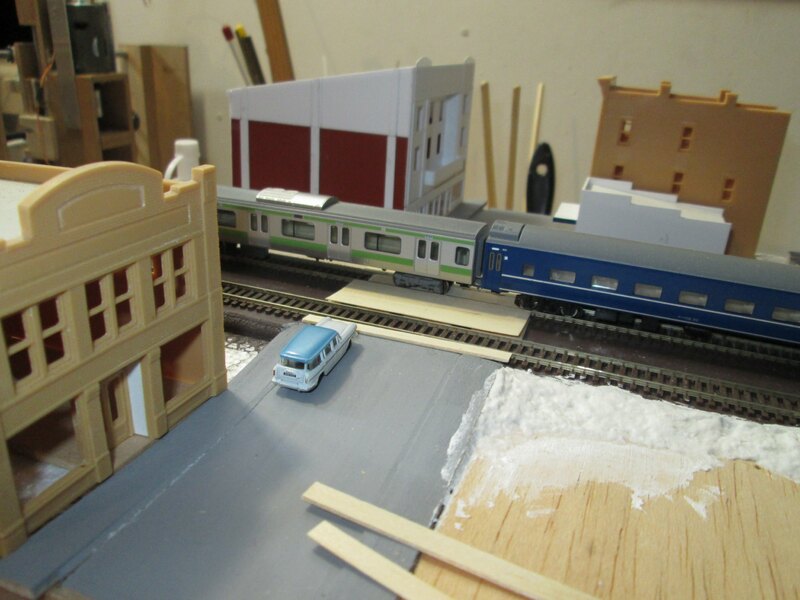 The shop fronts were rather cunning made from a sheet of 0.5mm clear styrene, which formed all the glass. 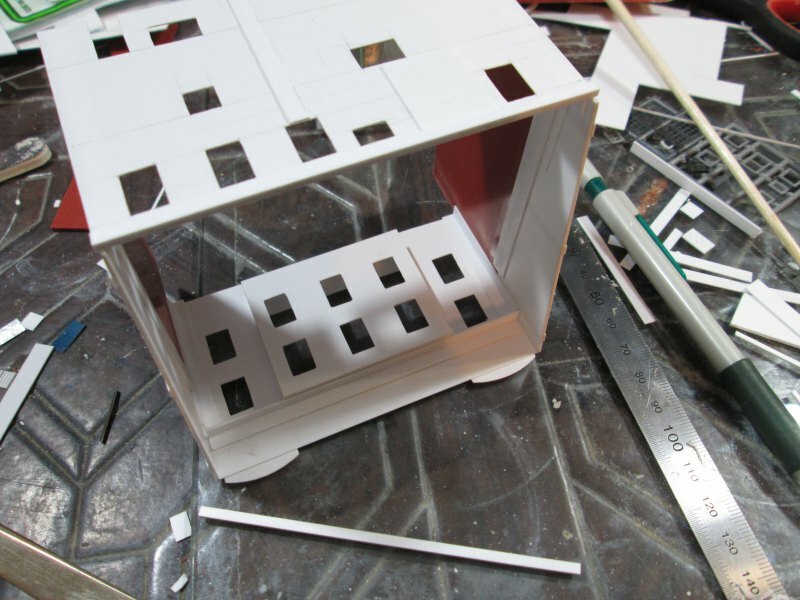 The joinery was then cobbled together out of various thin sections of styrene and stuck directly to the "glass". The clear styrene is great and sticks incredibly well with plastic cement, super glue, and styrene weld, all without clouding or fogging up as PET sheet usually does. I masked off the shop fronts and gave the whole building a layer of undercoat, then airbrushed on vaguely concrete paint. Dry brushing white ensued to get a bit of undulation to the surface. The bricks were given multiple coats of dirt & grime. I designed the store-front signage in Inkscape and printed it out using a recently acquired inkjet printer, which is a real piece of work. It arrived with no yellow ink, which is fine since I wasn't printing yellow, however without any yellow it refuses to print at all! Luckily it seems one is able to put opaque tape over the ink level window in the cartridge and fool the printer into printing anyway. And, curiously enough, there was still plenty of ink left in the cartridge, it was just below the bottom of the sight glass. An interesting ploy, Brother Printer Company.